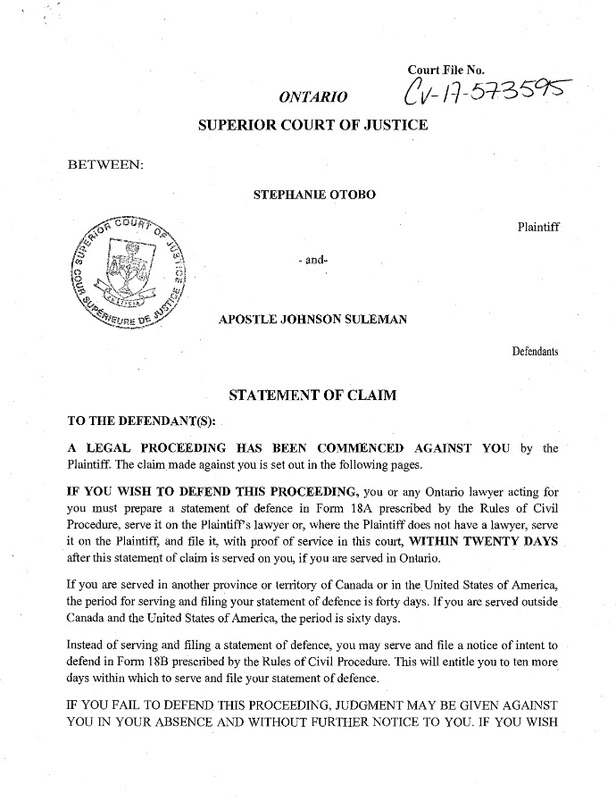 Latest report from Ontario, Canada indicates that the controversial preacher, ApostleJohnson Suleman is far from getting any reprieve from his publicized affair with Canada-based Nigerian songstress, Stephanie Otobo. .
A letter dated April 19 2017 with case file number CV-17-573595, signed by Registrar of the Ontario Superior Court and addressed to Apostle Suleman’s Ontario residence, posited that Otobo has filed a lawsuit, claiming Canadian $5milion for damages resulting from breach of trust, breach of fudiciary relations, breach of contract, negligence, defamation, poisoning, intentional and negligent infliction of emotional stress, forcible confinement, multiple instances of battery, false imprisonment, fraud, assaults, sexual assaults, sexual harassments, harassments and malicious prosecution. . 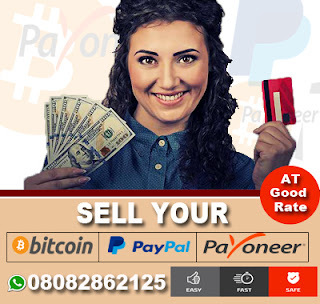 The suit, also seeks an order restraining Suleman from contacting and communication, directly or indirectly, with Otobo while in Canada, and restraining the Apostle Suleman from being at a distance of at least 500 meters from the plaintiff. .
0 Response to "Stephanie Otobo Slams Apostle Suleman With A $5Million Lawsuit In Canada"